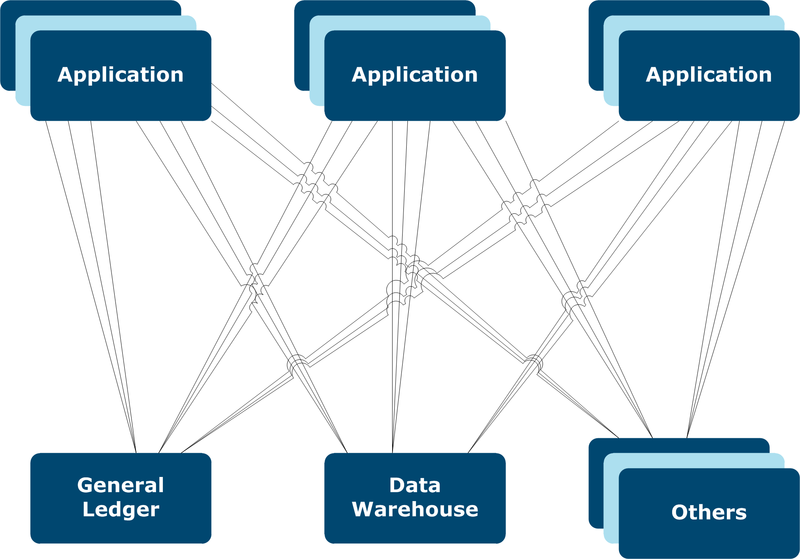 Business applications generate events that represent the company's activities: ordering goods and services, receiving or sending payments, producing and delivering goods and services. In a typical scenario, an event is transformed into detailed accounting entries through the application of accounting schemes that define the account allocation rules. The generated entries are aggregated and posted to the general ledger and can also be sent to a subledger, a reporting application, or other financial systems. 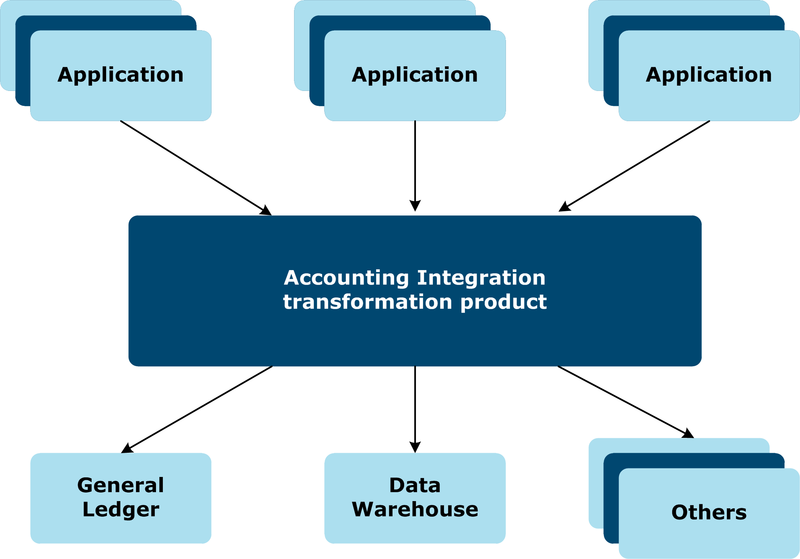 AI Suite addresses these issues by providing a single point of interaction between business applications and financial and accounting systems. At the heart of AI Suite, a transformation component receives the events and transforms them into journal entries that are then posted to the general ledger and other systems. The transformation component is configured according to transformation rules that are interpreted by a rule engine. It generates audit trails, handles exceptions and can treat millions of events. Provides flexibility to adapt quickly to required changes by tracking any changes using the audit trail. Ensures data integrity, transparency, and traceability of the accounting process. It enables the financial organization to enforce, control, and comply with accounting rules and principles in a cost-effective way. Accelerates financial closings by promptly resolving any errors in a secured, managed, and audited environment. Provides an easy way to make end-of-month adjustments to provisions and accruals, or amend transactions within the accounting integration process. 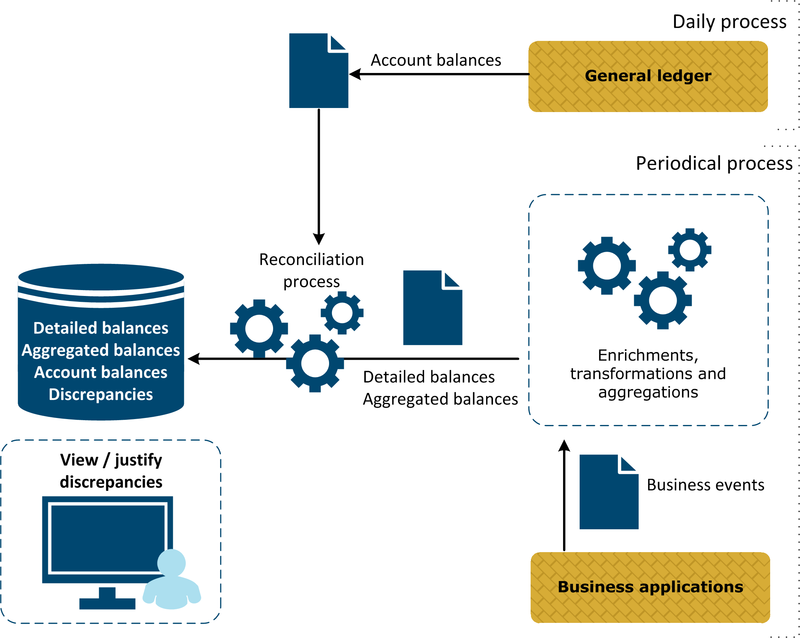 Daily event reporting takes daily input events from the operational systems, normalizes and enriches them with data coming from external repositories, and processes them to generate entries to the general ledger. Periodical inventory reporting extracts information for each contract that is managed in the operational systems, locates the associated account number, and reconciles what comes from the inventory and what comes from accounting. When the reconciliation is correct, the contract inventory and the accounting entries are stored in the financial data warehouse where they will be used to create the financial report. This closing process, often at the end of the month, is managed and monitored closely. Because it is a critical process, many companies try to reduce the delay to produce the financial report. The following diagram illustrates the reconciliation process.